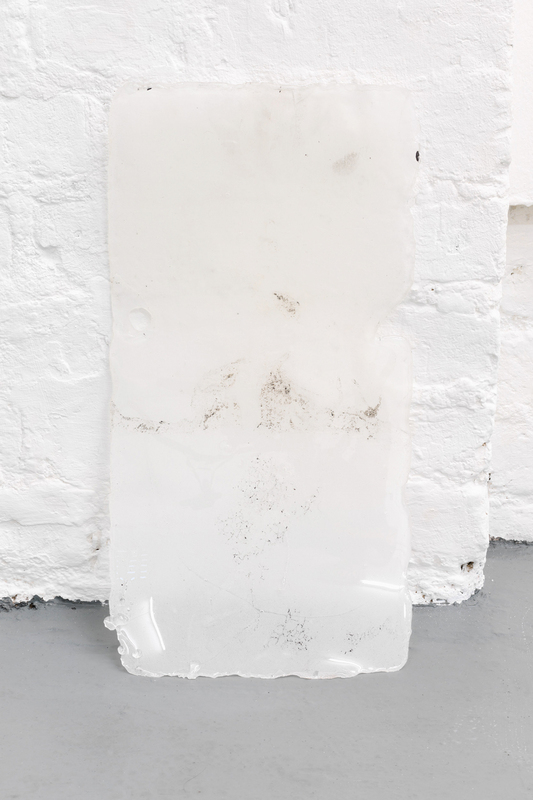 Andrea Zucchini, Untitled (2014), Glass wax, slate. 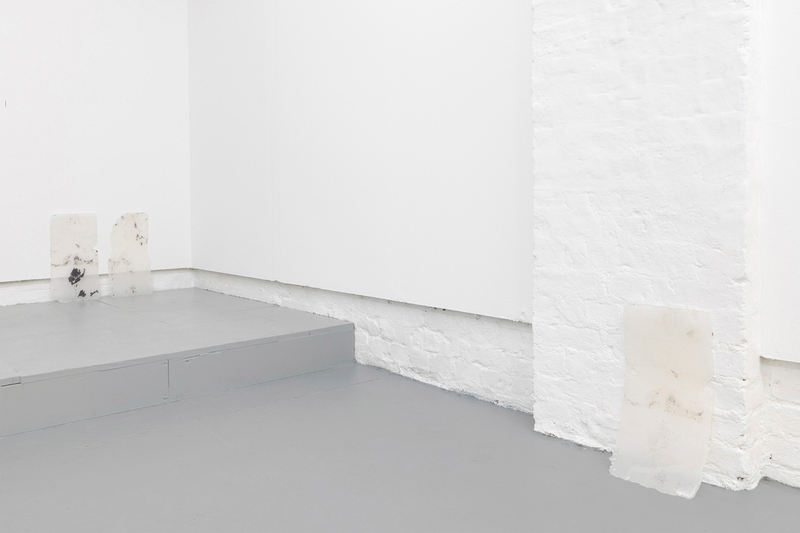 For Tenderpixel's 2014 summer break, we turned over the gallery space to Andrea Zucchini, London-based artist. 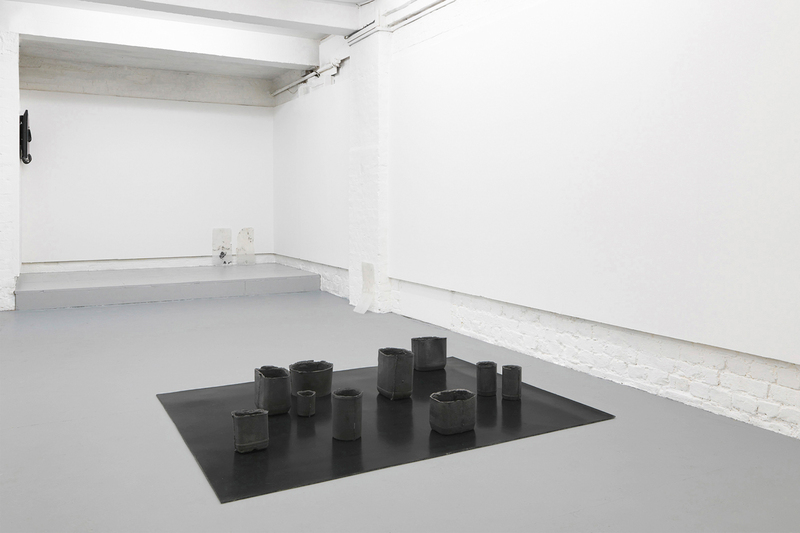 As a result of the residency he presents his work in a solo exhibition, Alchemical Studies, from 6 until 20 September. 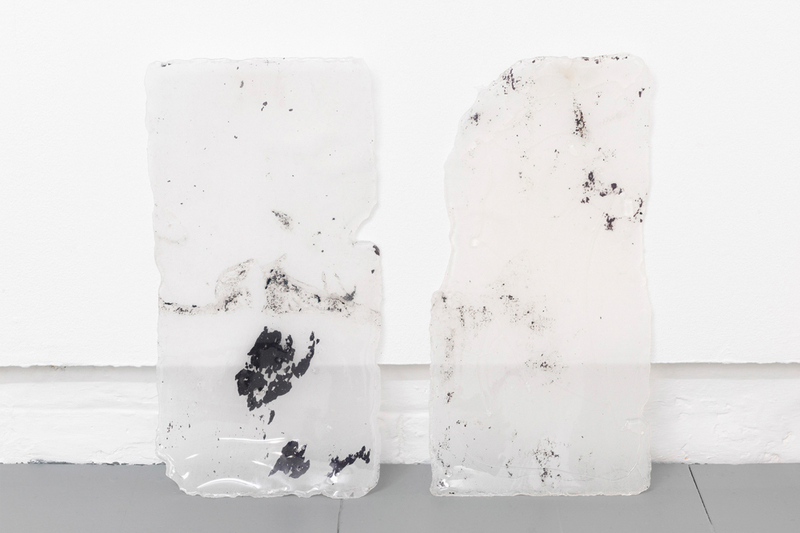 In his practice, Andrea Zucchini juxtaposes geological, cosmological and psychic processes, exploring how they are intertwined and can be accessed through one another. Using the notion of containment, he investigates the intimate correspondence between the micro- and macrocosm, alluding to them being analogous structures. 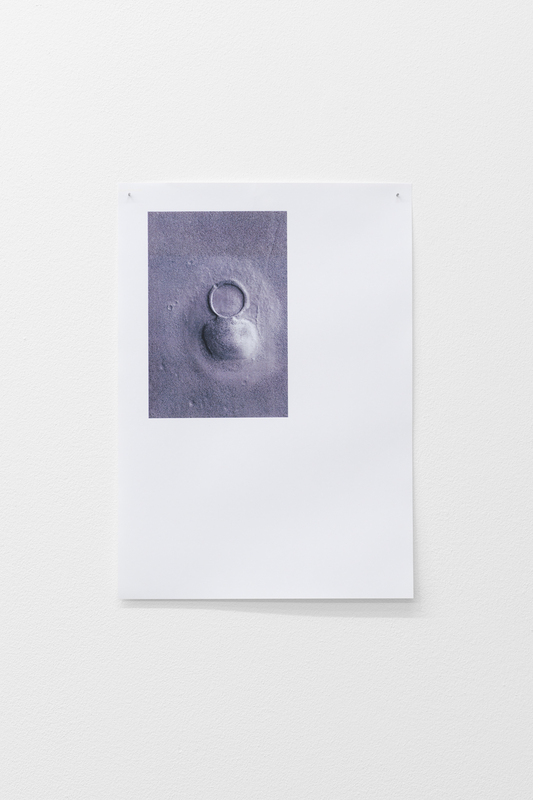 Zucchini ́s working method, which implies an appreciative approach to matter and its autonomous significance, is applied to the relationship with any material, be it iron, plaster, archival footage or text. 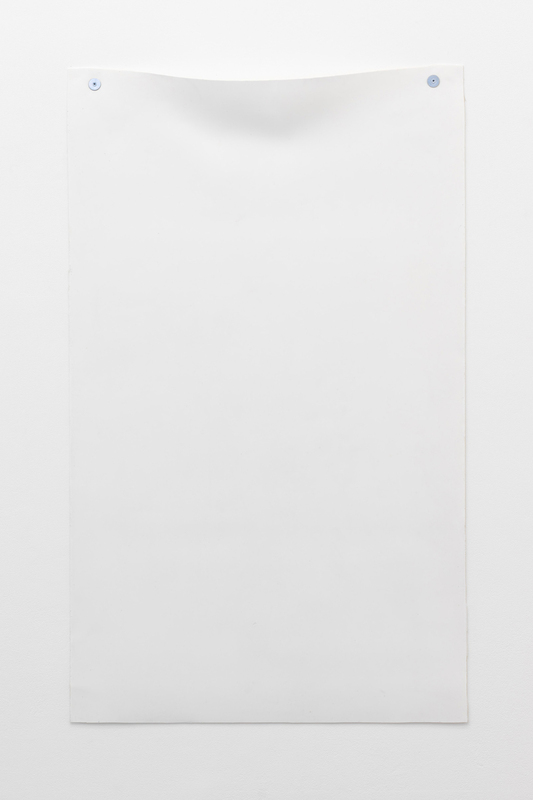 At the core of his practice lies an interrogation into the metaphorical value of materials, both within their natural and cultural histories. 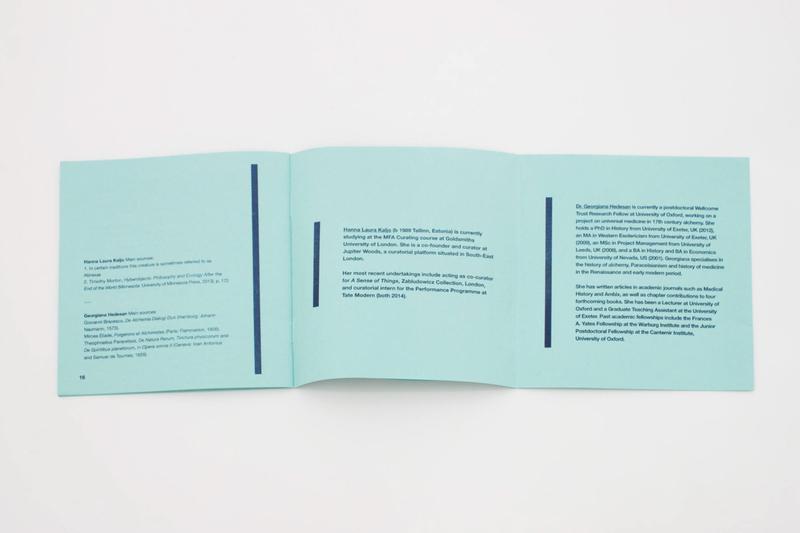 By bringing these two domains together he intends to deconstruct the nature-culture dichotomy. The sculptural pieces disclose multilayered narratives. 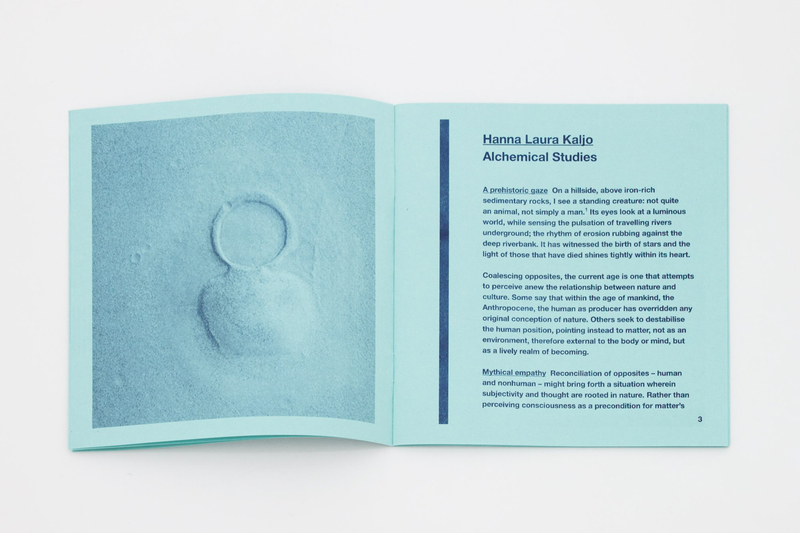 Most recent works address themes such as relationship in between various forms of matter and the marriage of substances, as described in the ancient practice of Alchemy. 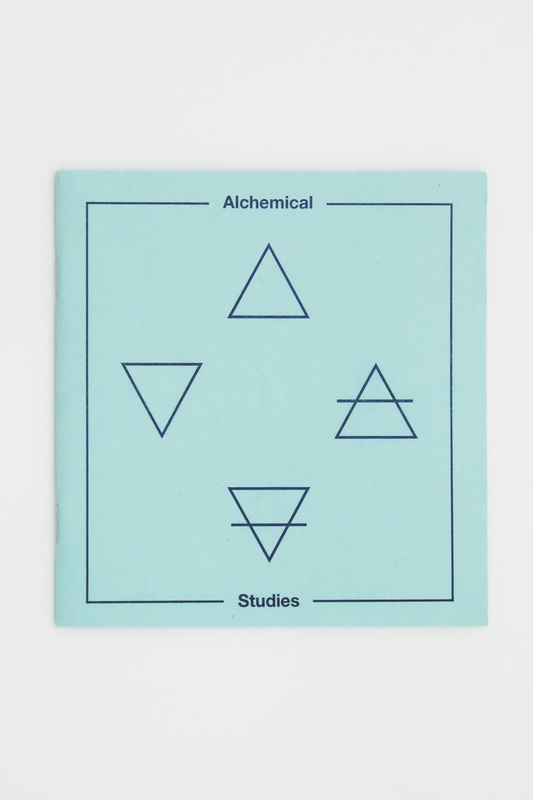 Andrea Zucchini, Alchemical Studies. Tenderpixel. 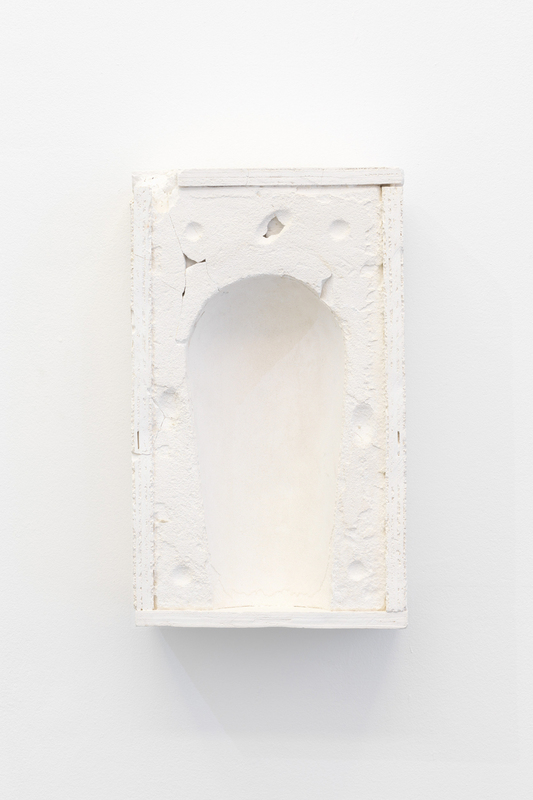 Andrea Zucchini, Site, 2014, iron sulfate, plasterboard. 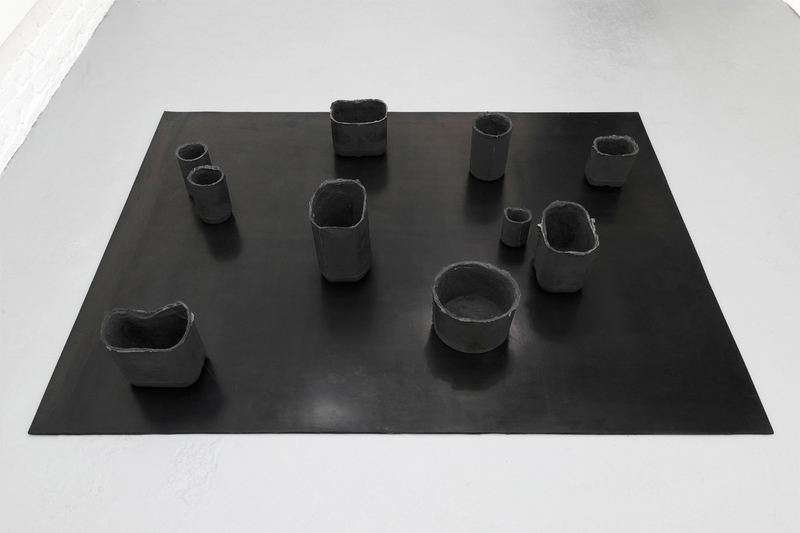 Andrea Zucchini, Untitled (As Above, So Below series), 2014, cast iron, testosterone, vulcanised rubber. Tenderpixel. 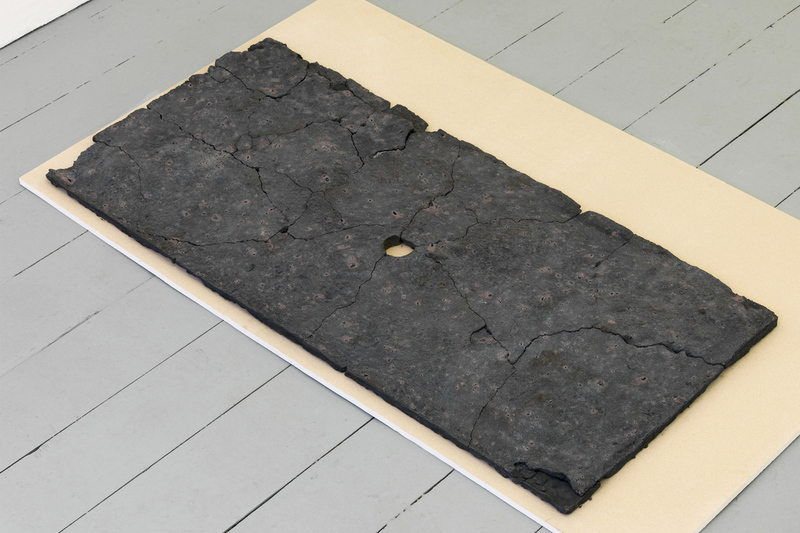 Andrea Zucchini, Untitled, 2014, glass wax, slate. Tenderpixel. Andrea Zucchini, Untitled, 2014, silicone, white lead, antidepressenant, fixings. 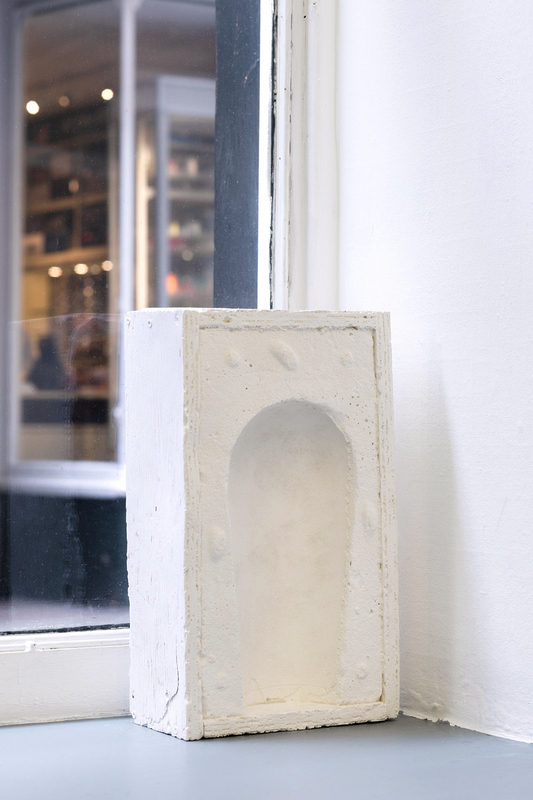 Andrea Zucchini, Untitled, 2014, plaster cast with rainwater. 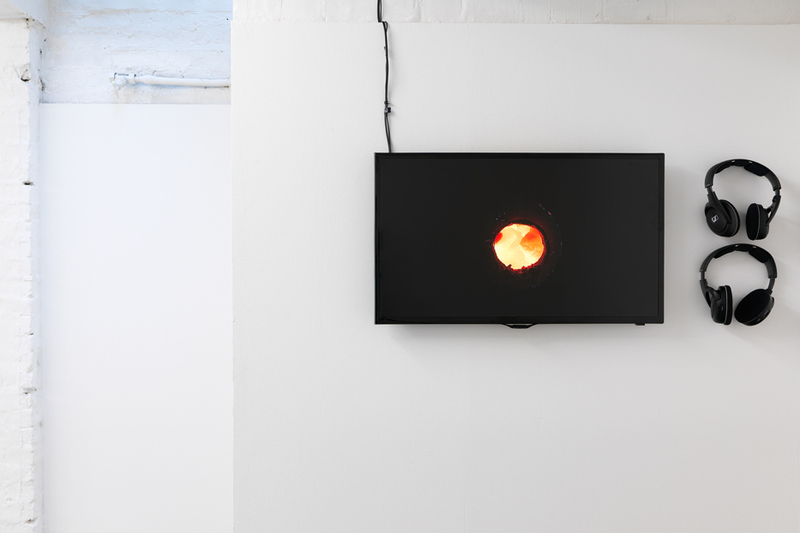 Andrea Zucchini, If the eye were not sun-like, it could not see the sun, 2014, HD single channel video. Andrea Zucchini, Hephaestus Fossae, 2014, from the archive of NASA. 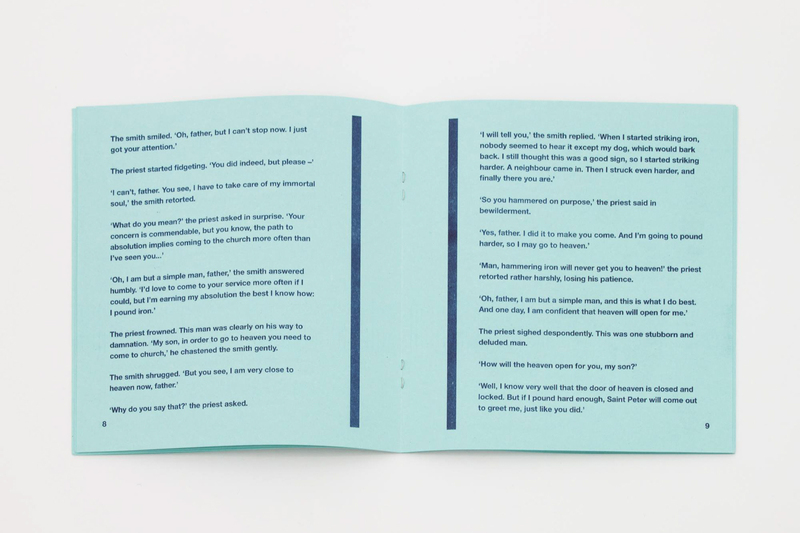 Publication design by Rowena Harris for Tenderpixel. Andrea Zucchini (b 1987 Brescia IT), lives and works in London UK. He graduated from the MA Sculpture course at the Royal College of Art, London UK in 2015, and received his BA in Fine Art and History of Art from Goldsmiths University of London UK in 2013. Solo exhibitions include, terra terra, Arco Madrid with F2, Madrid ES (2017); Foresight by Earth, Tenderpixel, London UK (2016); Alchemical Studies, Tenderpixel, London UK (2014). 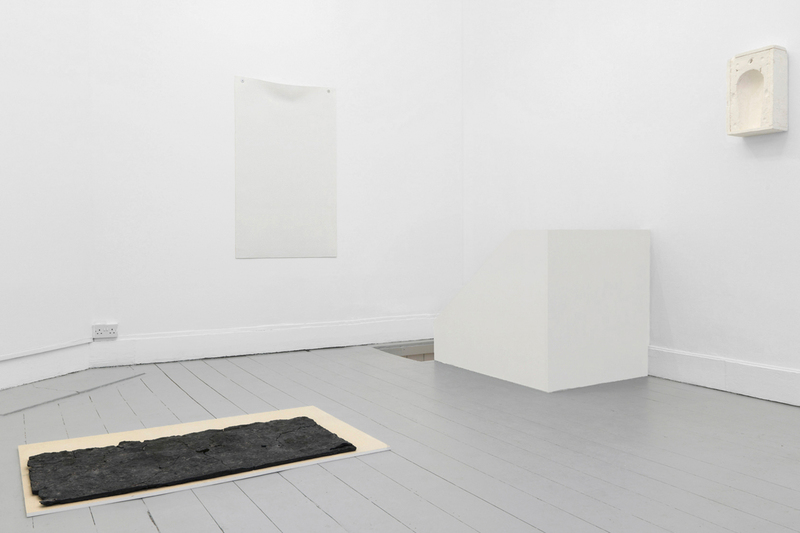 Recent selected group exhibitions include Companion Planting, curated by The Living Room, Goldsmiths Allotment, London UK (2017); Art Vilnius, part of the curated section by Rupert, Vilnius LT (2017); Anastasis, curated by Anaïs Lerendu, White Crypt, London UK (2017); Smoke and Mirrors, Rupert, Vilnius LT (2017); ¬⊙× (here the sun does not enter) with Sam Smith, Assembly Point, London UK (2016); Some Astronomers Kept a Distance, with David Ferrando Giraut at Salon, Madrid ES (2016); Cosmic Morsel, F2 Gallery, Madrid ES (2016); Visual Cultures TEN, Goldsmiths University of London UK and The Showroom, London UK (2015); New Contemporaries, various locations across Nottingham and ICA London (2015); Pause Patina, Camden Arts Centre, London UK (2015); Small bird’s nest with blue eggs inside, MMX Gallery, London UK (2015); Thank you, Jupiter Woods, London UK (2014); biotic/abiotic, The Gallery Apart, Rome IT (2014); before breakfast we talked about the furthest possible point before it all disappeared, Tenderpixel, London UK (2014); A Sense of Things, Zabludowicz Collection, London UK (2014); Woon Art Prize, Gallery North, Newcastle UK (2013); Gold in the Crucible, Hoxton Arches Gallery, London UK (2012); trans:form, curated by Hanna Laura Kaljo, London UK (2012) and I Wish I Was a Circle, curated by Attilia Fattori Franchini, Alekano Club, London UK (2011). Residencies and Awards include the New Contemporaries studio bursary with SPACE, London, UK (2017); and a residency at Rupert, Vilnius, LT (2017).